We recognize that many of you live outside of our in-class offerings in Canada and Seattle WA. That’s why, for over a decade, Walks ‘N’ Wags has offered a Distance Learning Pet First Aid program. Historically, the program involved you awaiting a package of learning materials to be mailed to you. Well, wait for the mail no more! We’ve found an amazing online interface to offer our program to you…instantly! 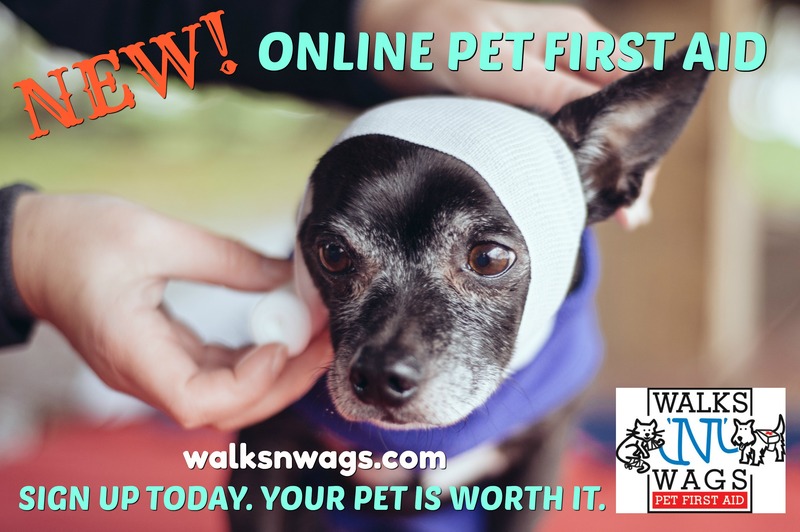 Introducing: Walks ‘N’ Wags Online Pet First Aid program! The program is extremely user-friendly, hands-on, and FUN. Successful participants will earn the same Certification as our in-class program. Entirely online. From ANYWHERE in the world. And, if you do want a hard-copy of our course manual, or one of our fabulous pet first aid kits, those can be ordered at the same time. Yes, we’ll still have to mail those to you but you can get started working on the online program in the meantime. Are you as excited as we are? Why not head over to our WEB SITE and check it out? Sign up today. Your pet is worth it.